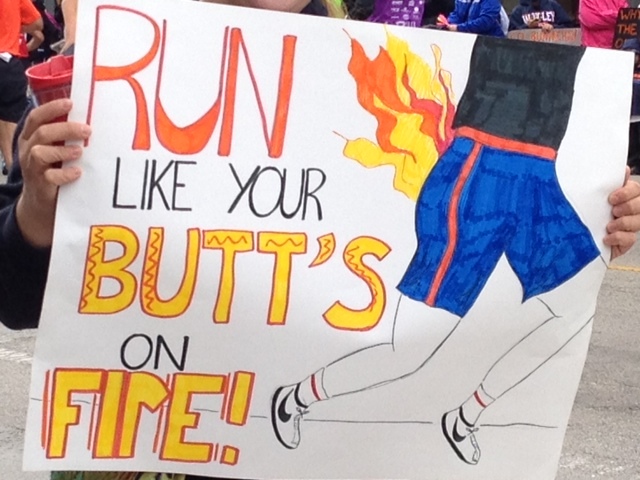 While watching the Chicago marathon from the 10th story of Jenkins Hall, I was inspired. One of my favorite signs! 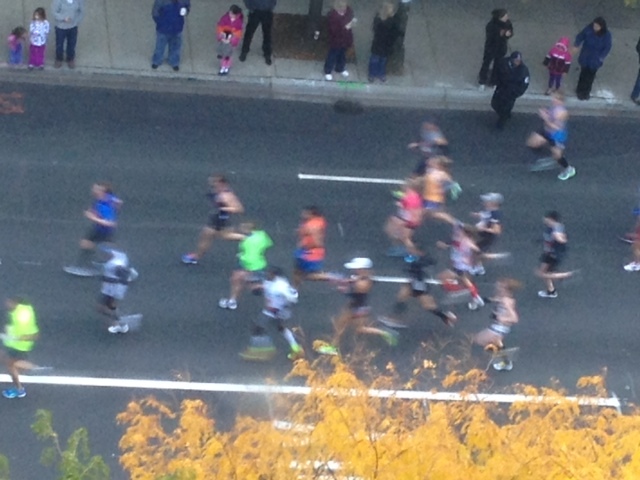 But when I went downstairs and came face to face with the thousands of runners, I was overwhelmed. Tears welling up in my eyes and throat, I know I’m an emotional person but it surprised me the wave of feelings that waft over me. It was so awesome how the announcers just randomly picked out names they spotted on the runners’ jerseys and encouraged them! Loved the Moody Mile! On this blustery fall morning, as we were getting ready to meet Aaron and the other two OS going to Aaron’s new church in downtown Chicago, I witnessed these people, every hue, body type and outfit race past us. 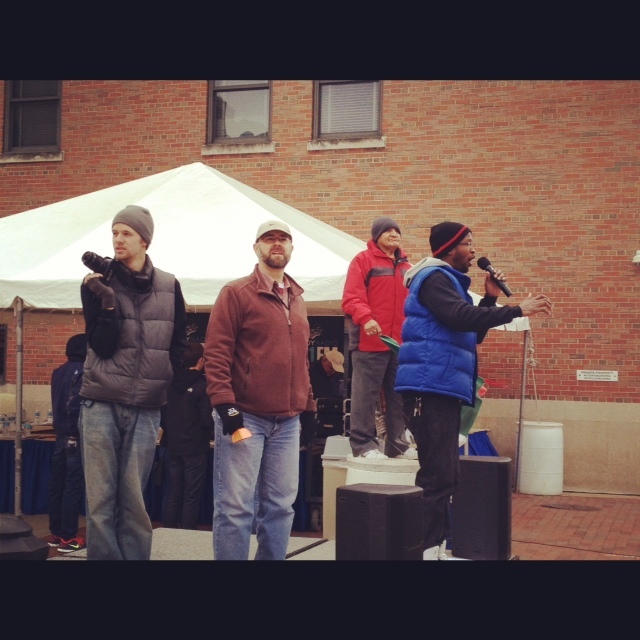 I heard praise music filling the streets, everyone was of one accord motivating the runners to keep going. Tears. The most awesome writing gig on Fridays! Where a beautiful crowd spends five minutes all writing on the same topic and then sharing ‘em over here. Join us!